How many Shakespeare quotes were there........... that is the question! Evening everyone, I hope you've had a great day. Huge congrats to my lovely friend Karen for completing the London Marathon in a great time. Actually nobody guessed six but because I'm so impressed that you all participated that there is a little something for all who left a comment. If your blog name is below please e mail me at mycreativespirituk@gmail.com to claim your little something. 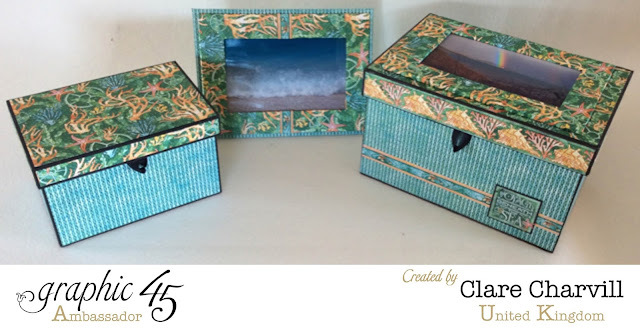 The boxes and picture frame on the post this eve are my medium and large This 'N that Box Kits altered in papers from the Voyage beneath the Sea collection by Graphic 45. I love the combination of the Deep Blue Dreams and Steampunk Splash papers. The larger box has a photo frame on the lid from the Double Photo Frame kit too. Boxes altered by Claireeeee and Photos were taken by Annie :-) The rainbow picture on the box was taken after a severe hailstorm and the end of the rainbow was right on St Anthony's Lighthouse, St Anthony's Head across the water from Falmouth. Love it. Thank you for the bit of fun yesterday and it is very kind of you to offer something for all who took part. Many thanks. 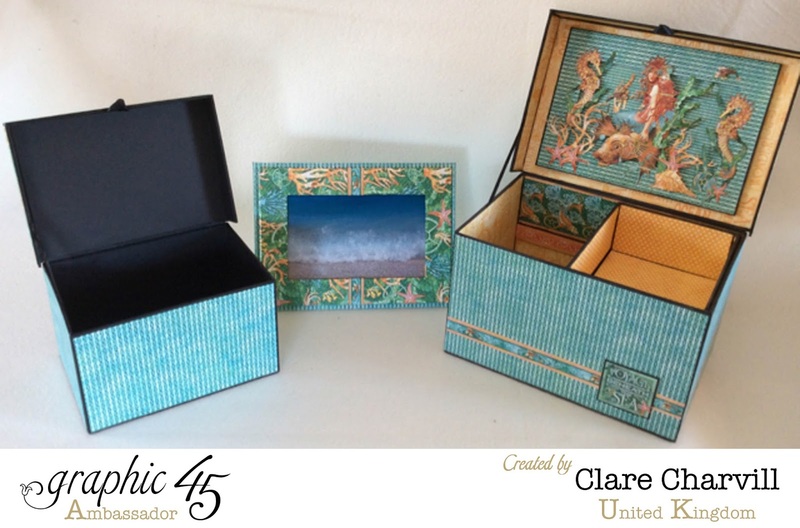 I love this little box and the Graphic 45 papers Clare. I am working on a box now and so hated to cut into the beautiful papers but oh well that is indeed what they are for!!! I will post photos for you to see when I am finished. Thank you again for our little treat from you. Morning Clare, Wow !!!!! thank you so much, it is so lovely of you to give us 'a little something' I am more than excited, Thank You. I love these boxes, the colours are beautiful, you always know how to 'pair' your papers and your inspiration is never-ending, thank you. 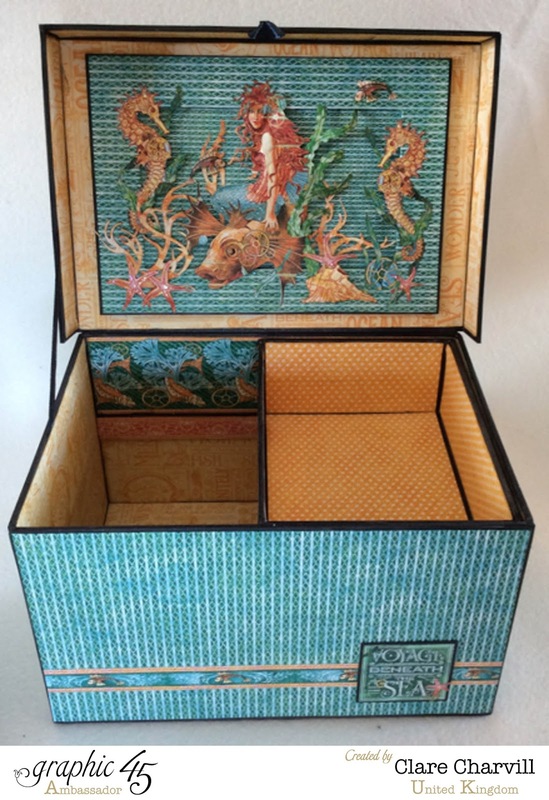 I do love your boxes and this one is just gorgeous, beautiful design and papers used. Thank you for the little treat, you are most kind . I will away now to leave you my address. Wonderful surprise if the Debbie on your blog is me!! 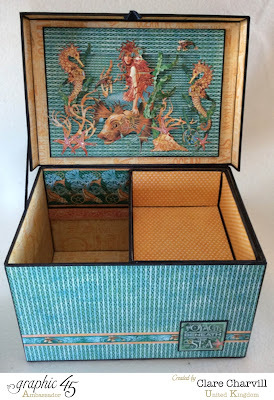 This box is going to be my next project and I am just going to have to use these papers to alter it, they look amazing!